Following the huge success of Britney Spears’ debut album, Cheiron Studios would become one of the most coveted in the world. Everyone in the music industry wanted to work with its songwriters and producers. One of them was Simon Cowell, an A&R executive at BMG Music Publishing who wished material for a new Irish band called “Westside”, which he recently had signed. It was discovered though that the name already had been taken and was rapidly changed to “Westlife”. Three of the songs which appeared on the band’s self-titled debut album, released on November 1, 1999, were co-written by Jörgen. Two of them, “If I Let You Go” and “Fool Again” became UK #1’s. 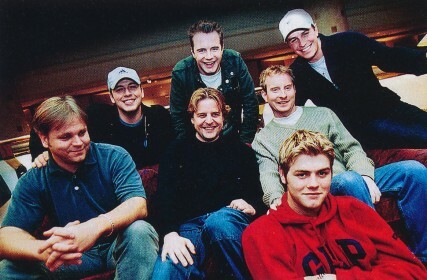 This was the beginning of a long lasting collaboration between Westlife and Jörgen. Jörgen returned to his own studio. He would soon find himself in the Guinness Book of World Records.